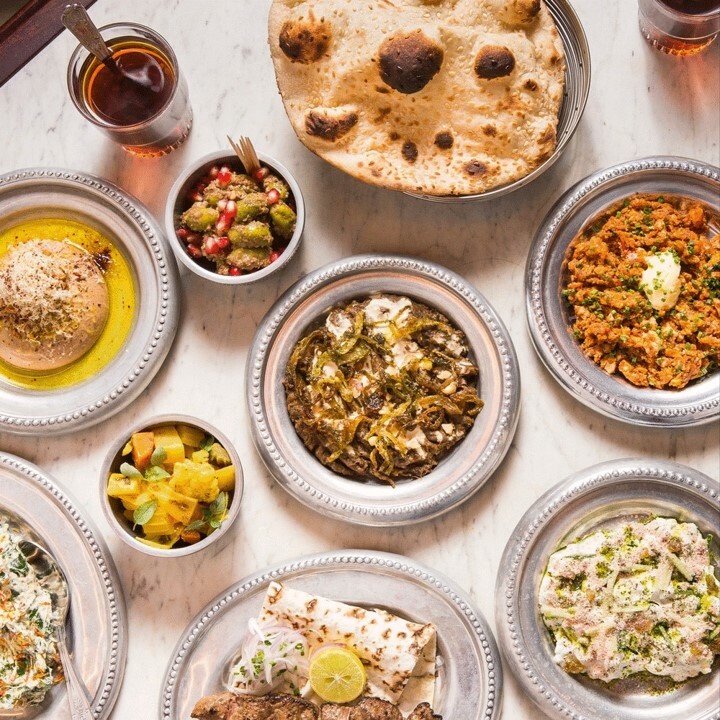 This March, Berenjak, the Soho restaurant reinterpreting the classic hole-in-the-wall eateries lining the streets of Tehran, will be celebrating Persian New Year, also known as ‘Nowruz’, the holiday of Spring. To mark the occasion, Berenjak will be collaborating with Persian artist, Laila Tarah, to create a Haft-Sin installation within the restaurant from Monday 18th March, leading up to Persian New Year on the 21st March, when Chef Founder Kian Samyani will be serving two Nowruz classics for one day only. Upon entering the restaurant, guests will be greeted by an ornate interpretation of the Haft-sin hanging from the bar, created specifically by Persian artist Laila Tarah. The Haft-Sin is an arrangement of seven symbolic items whose names start with the letter sin in the Persian alphabet, including silver berries, fresh garlic and dried fruit from the Oleaster tree, symbolising health, wisdom, bravery, regeneration, patience and contentment and will be found in every house, shop and restaurant in Iran during the festivities. On Thursday 21st March, Kian will be cooking two of his favourite dishes from the traditional festive dinner eaten every year with his family whilst growing up. On the day guests can opt for Sabzi Polo Ba Mahi, pan-fried stone bass marinated in angelica accompanied with steamed herb rice and torshi, and Aash-e Reshteh, a thick bean and noodle soup with kidney beans, herbs and kashk, a sour fermented yoghurt. In keeping with the best traditions of Persian hospitality, guests will be treated to complimentary Persian tea and sweets to finish on a final sweet note. “For me, Nowruz has always been about getting together with all your close relatives and friends to reflect on the new year and share some great food. Each year when Norwuz comes around, I find myself reflecting on my memories as a boy, celebrating, cooking and feasting with my family so I’m grateful to be able to celebrate it here at Berenjak and bring it to Soho”, says Kian.